Denim material has become one of key fashion trends for spring season and from its attention, all shops and influencers started to check indigo color apparel. HYSTERIC GLAMOUR is also following this movement and selected wide range of blue, from dark toned blue to refreshing blue for new collection! A vintage low back overall style released in the beginning of 1900s has authentic silhouette and heavy duty looks, but contrary to the looks, it is made by light ounce denim material that it perfectly match in Spring season. For tops, HYSTERIC GLAMOUR indigo blue collections for men is carrying special ordered knit cardigan from “Original Blues” and stretchable denim hoodie and pants for comfort and gorgeous fitting. All items will provide relaxing fit and joy to follow the trend of indigo blue! Old and modern, craftsmanship and innovation, a process of making real denim is what HYSTERIC GLAMOUR is focusing on! Welcome to the world of authentic denim we create with a passion of craftsmanship and innovation! Keeping the hygienic aspect of denim material, it is arranged in vintage process to express the reality. 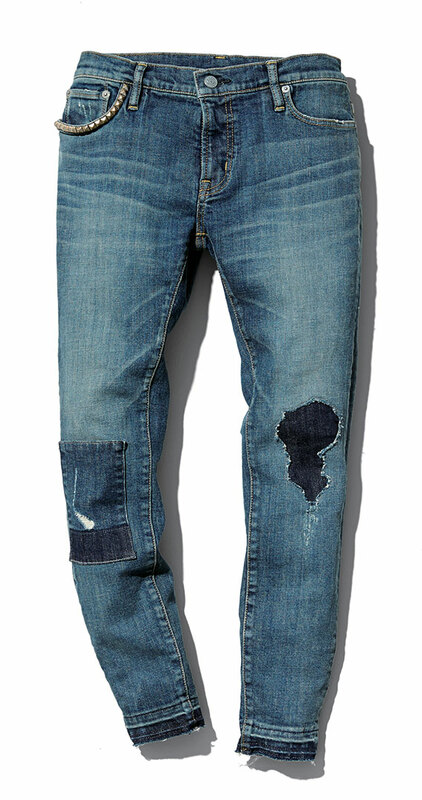 With aggressive crush, patchwork arrangement and removing the stitching on bottom of pants, it appeals well-worn denim pants from the beginning. However, once you put it on, you will be surprised the gap between how it looks and how it feels. In spite of vintage denim pants look, it expresses beautiful leg line from its skinny silhouette. Also, it is arranged as 8/10 length that it matches with upcoming season with sneaker, hi-heel, and sandal. Furthermore, even it is arranged in skinny silhouette, the denim texture is made of extraordinary stretch material that there is no stress while bending knees. So let’s go out with your new partner with favorite tops and sneakers! Denim from the factory in making the best selvage denim throughout the world, Ihara in Okayama prefecture introduce its original denim pants from long years of research and development. Keeping the authenticity of denim making process developed in the past, it is treating fluff to maintain the smoothness and soft fitting. Also, the pants are arranged in slim straight silhouette that it matches with city style. Overall, the best part is its aggressive vintage process. The arrangement of slightly washed and hard crush designed on thigh to knee and hip with repaired after work gives wild manlike impression. And zigzag stitch works on pants give extra spice in original design. This special remake denim pants is one and only pants that can express the craftsmanship and innovation of Japan made quality. Powerful design such as aggressive design pattern and impactful typography will be featured in upcoming season! Focusing on HYSTERIC GLAMOUR original design pattern as main design, “BIG & BOLD” collection will be selecting aggressively designed items for new line up! 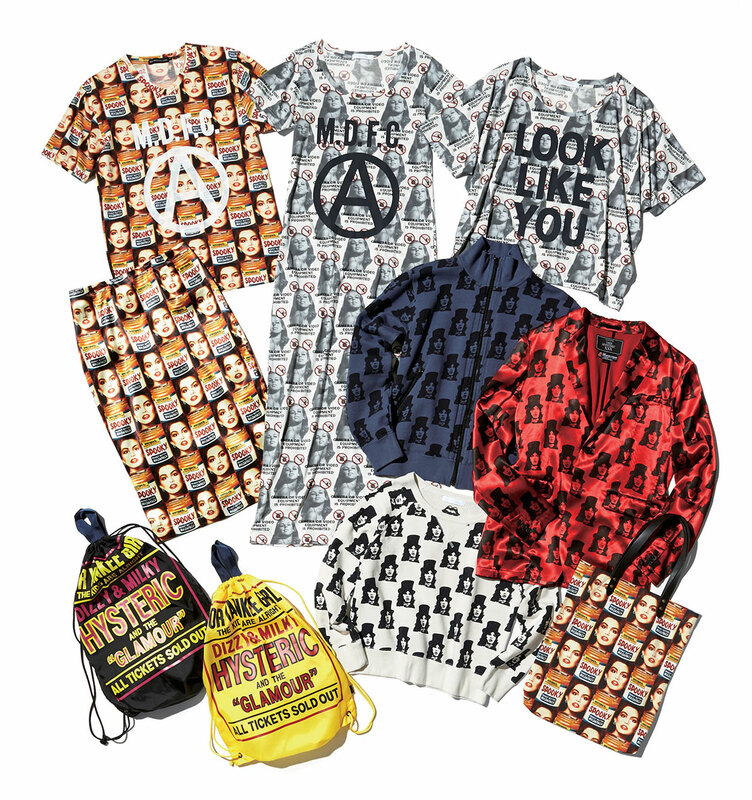 Featuring women’s Tee and long one-pieced dress, these collection items are made of premium “Supima cotton” to provide gorgeous softness and comfort with aggressive pop art pattern and impactful typography design. On the other hand, men’s collection is designed in rock taste by using an artwork of Mick Jagger from “The Rolling Stones.” You cannot miss rock n’ roll Zip-up jacket and tailored jacket for this season! 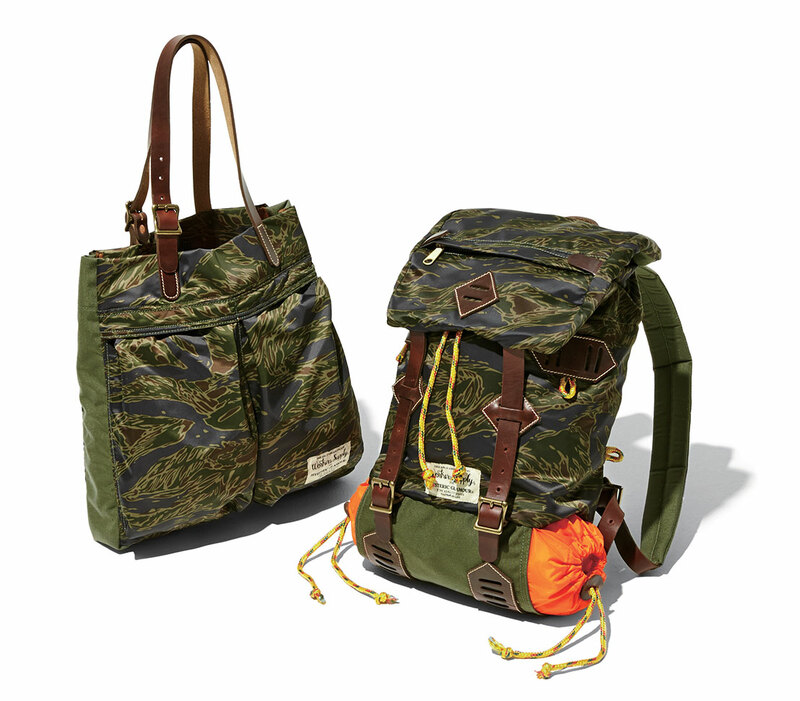 Furthermore, a nylon knapsack inspired from HYSTERIC GLAMOUR shopping bag back in the days will also come back in this collection! WORKER’S SUPPLY is a recent brand in Los Angeles established by a designer from “Woolrich.” It is a unique brand that focused on good old American business culture and recent urban lifestyle to create classical but innovative gears! The joint work with Made in U.S.A. brand “WORKER’S SUPPLY” is about to release in the market. Our first collaboration models are original Helmet Bag and Back Pack. Both models are featuring our original nylon material and all leather parts used in the bags are “Chromexcel” supplied from distinguished leather company “Horween Leather Company.” Also, it contains double brand name tag to present our collaboration model. Last but not least, for Back Pack, it has an option of utility pouch for extra convenient storage inside of bag.